So on our 16-hour-turned-22-hour trip to Florida we listened to a lot of music to keep the kids happy. Isaac and his buddy Andrew begged for us to play “I’m the Man” by Aloe Blacc and to roll down the windows while they sung it loudly. I think we listened to this song at least 15 times. Watching the boys get that “I’m the Man” look on their face and groove and dance in their seats was definitely a memory that is ingrained into my head whenever I think of our Florida trip. 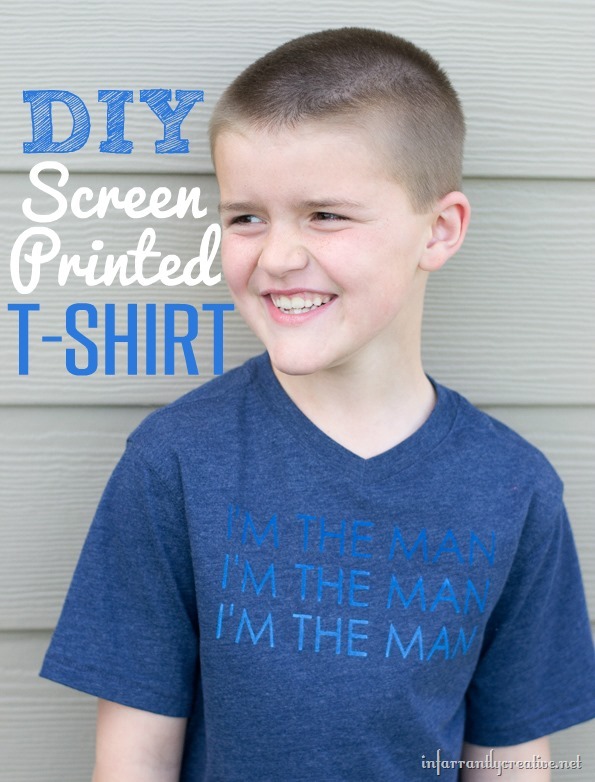 I thought it would be fun to make the boys a shirt as a memento. The both love the shirts (as do all the boys in our neighborhood). In fact Isaac is on day three in a row of wearing it. I keep reminding him it is beneficial to wash it – he isn’t convinced.